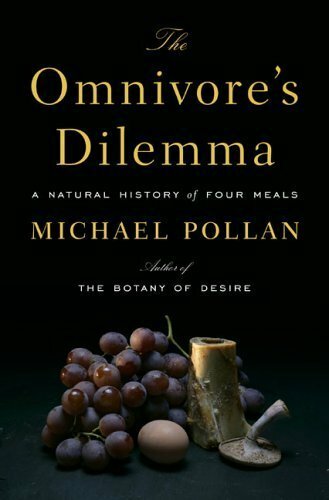 Today’s Fresh Air featured journalist Michael Pollan discussing his new book “The Ominivore’s Dilemma.” In the interview, Pollan talks about the global costs involved in producing food. For example, corn — found in a number of processed foods in the form of corn syrup — is produced using an unbelievable amount of fossil fuel (meaning, it’s not just our cars that are sucking up the world’s supply of oil and oil by-products, so is that corn-syrup fortified french fry I ate with lunch). Additionally, Pollan examined the business of organic food; while it’s better than the food turned out on factory farms, a number of organic food producers have simply taken the factory farm model and applied it to organic farming. Which, if you’re like me and try use organic foods whenever possible, is more than a little disturbing. Finally, Pollan makes an interesting inference based on recent market developments. Sales figures show that more consumers are buying organic foods. Out of all the grocery store chains in America, the one with the greatest growth is Whole Foods. Based on this, Pollan believes that more people are concerned about where their food comes from and desire a greater connection with what they eat. For example, buying a burger from McDonald’s requires very little thought on the part of the consumer, yet if a person purchases the raw elements of their food (say, a chicken breast, dijon mustard and scallions) and creates a meal with them, their engagement with the food chain, their part in it, and therefore nature, is much greater. 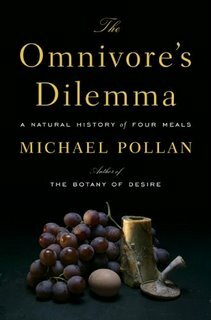 Pollan notes that eating is our most frequent connection with the natural world. If you think about food not as something pre-fab from a box but as a living thing that we are harvesting to sustain ourselves (whether it’s a cow or a carrot), that connection becomes all the more clear. Perhaps this is why, at a time when our lives seem busier and our world more irrational, so many people retreat to the comforts of their kitchens: cooking from scratch puts us in touch with a slower — and dare I say? — more natural way of life.